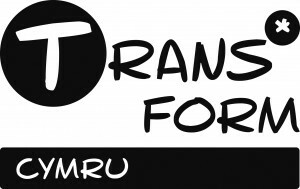 Trans*Form Cymru is a three year project funded by the Welsh Government Equality and Inclusion Grant Programme. Trans*Form Cymru works to address the discrimination and exclusion often faced by young people who identify as trans*. Trans* is an umbrella term to describe people whose gender identity does not match the gender they were assigned at birth. The project is led by a Steering Group of trans* young people and provides a safe space for them to meet, develop confidence and new skills. The group also delivers training and awareness raising activities to young people and professionals. The Steering Group have made a video about their experiences which is available below. We believe that good quality youth work can play a key role in challenging discrimination and enabling young people to form their own identities, access their rights and make informed and positive choices. The project enables professionals in youth facing organisations to deliver appropriate advice, information and advocacy to young people who identify as trans* and to challenge discriminatory attitudes.